Windows can add a nice decorative touch to a garage door while also letting some natural light into the garage. But is it the right option for you? 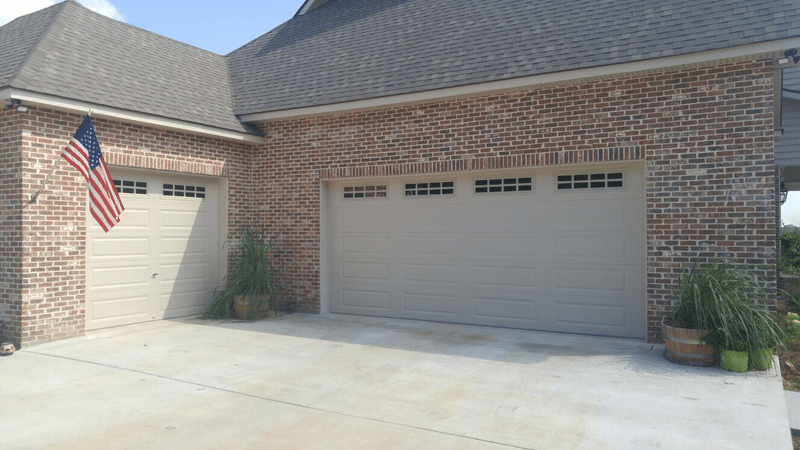 Before you jump into making this decision, here are a few questions you should ask when you’re considering adding windows to your garage door. Can your garage opener support windows? Adding windows to your garage door will increase its overall weight, meaning your garage door opener will have to lift more weight each time you open the door. Depending on the type of spring system as well as its age and the condition it’s in, this may be problematic. It’s a good idea to have your garage door assessed by a professional to determine if you can install windows safely in your garage door. It may require updating your spring system if it’s getting old. One of the main considerations when installing windows in a garage door is the appearance. Windows add a bit of interest to otherwise uniform garage doors. Since your garage door makes up a large portion of the front of your home, it’s important to most homeowners that it looks good. A popular trend is to install decorative garage door windows that match the windows in the front door to the house. How much time do you spend in your garage? If you spend a lot of time in your garage, then adding windows can have both upsides and downsides. If you spend time in there during the day, then windows give you the benefit of letting natural light into the garage. This can make the atmosphere more pleasant while also saving a little on your electricity bill. The downside is that windows are not as insulative as garage doors, so adding them will detract from your garage door’s ability to keep your garage warm in winter and cool in summer. This could lead to an increase in heating and cooling bills for inside your garage. Do you store valuables in your garage? The final question relates to security. Traditional windows let you see out and others see in. If you have valuables on display in your garage, then this could pose a security risk as thieves may target your garage. A solution to this is to have translucent or frosted windows. These will still let light into your garage and add aesthetic appeal, but people won’t be able to see in. Are windows the right solution for your garage doors? If you’re looking for garage door advice or installation services around Winston Salem, Greensboro, High Point, and Kernersville, then get in touch with us today.